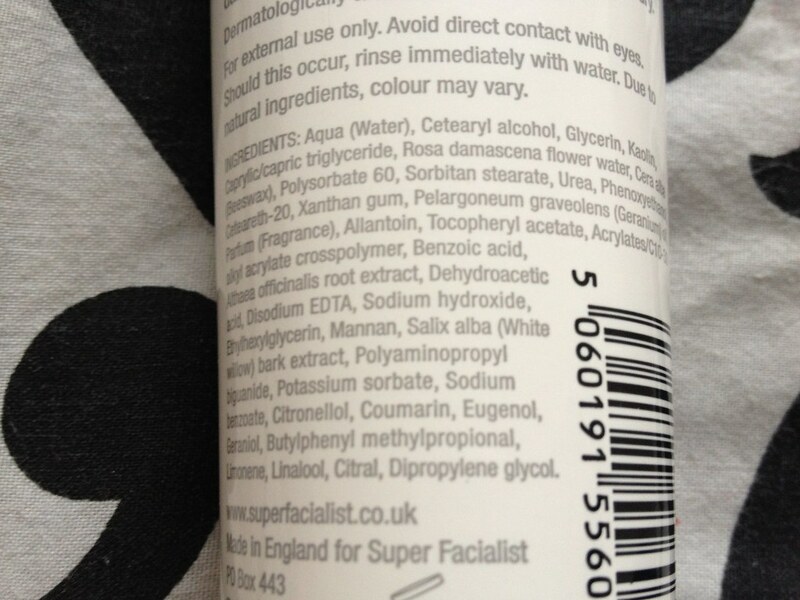 Super Facialist By Una Brennan is a brand I've never encountered before. Sure, I've read plenty of reviews online and seen several products from the range mentioned on YouTube. It's affordable and always seems to get a rave review but I've never gone out of my way to see what the fuss is about. I've been hankering after the Origins Drink Up Intensive Face Mask for what seems like an eternity now but as that's £20+ it's just a little bit pricier than I have the money to pay for right now. 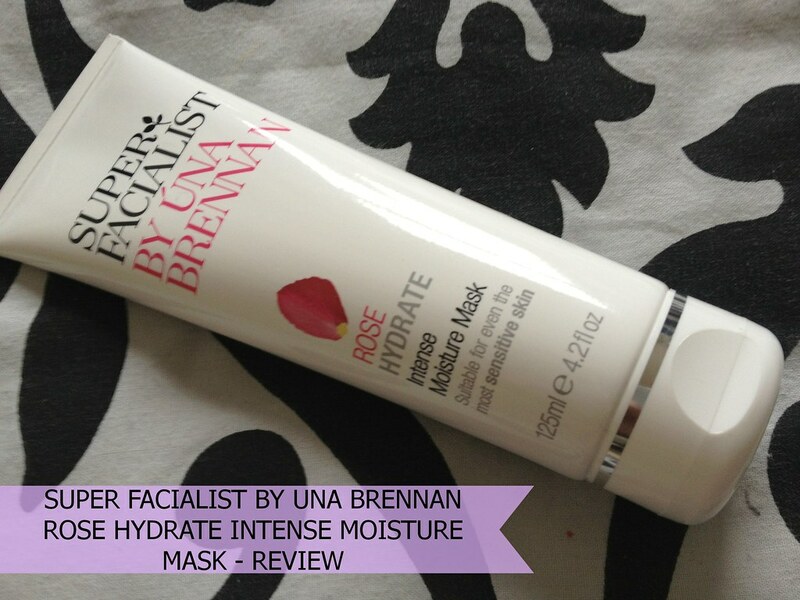 Step forward this Super Facialist By Una Brennan Rose Hydrate Moisture Mask for a reasonable price and available from Boots. The first thing I noticed about this product was the scent - roses. It's not the synthetic old lady scent though; it's a sweet, soothing scent that really feels luxurious and pampering. I apply this mask after I've cleansed and leave it for 10 minutes. 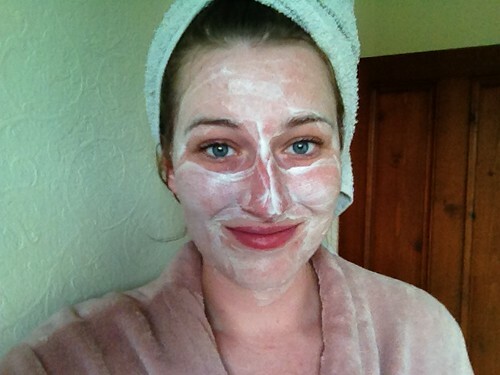 It's a little like applying a really really thick moisturiser and it doesn't have all of the mess of a clay mask. 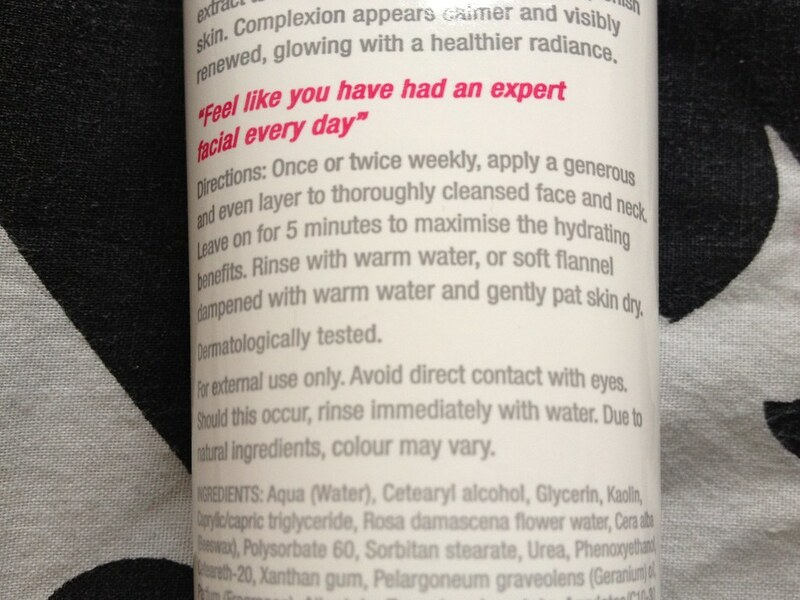 It feels like it contains little 'bits' when applied too so maybe it's semi-exfoliating as well as hydrating? My skin literally drinks this mask up. It doesn't stay wet; instead it dries to a thin layer of white across my face once my skin has taken all of the moisture that it wants from it. After this I wash it off with a hot flannel, tone and then moisturise as usual. I can use this mask at 7pm and 12 hours later, after a night's sleep, my skin feels as plump and hydrated as it did straight after using it the night before. I genuinely love this face mask and I now use it twice a week to boost my dehydrated skin. It really has helped my skin look less lack-lustre and I really enjoy the relaxing scent of roses. I'm interested in trying the other two Super Facialist By Una Brennan ranges available now too: the Neroli Firming range and the Tea Flower Cleanse range. 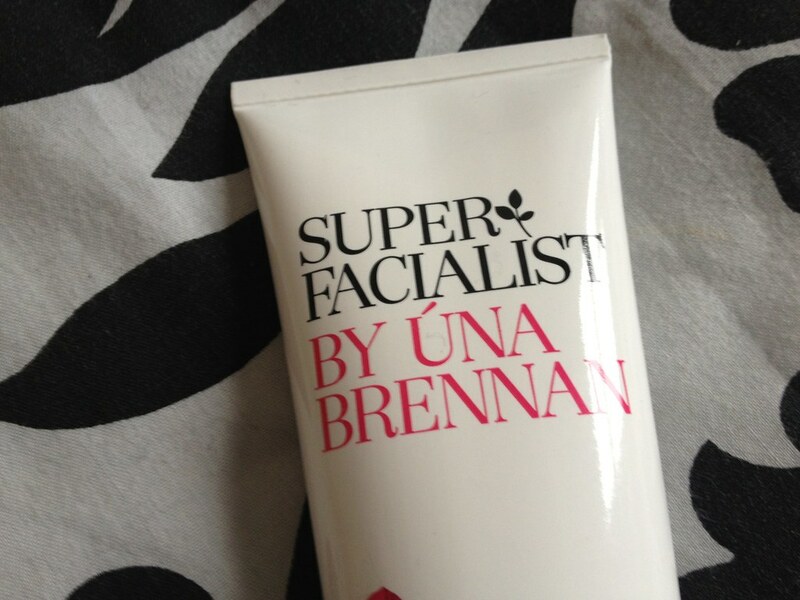 Super Facialist By Una Brennan is available at Boots. 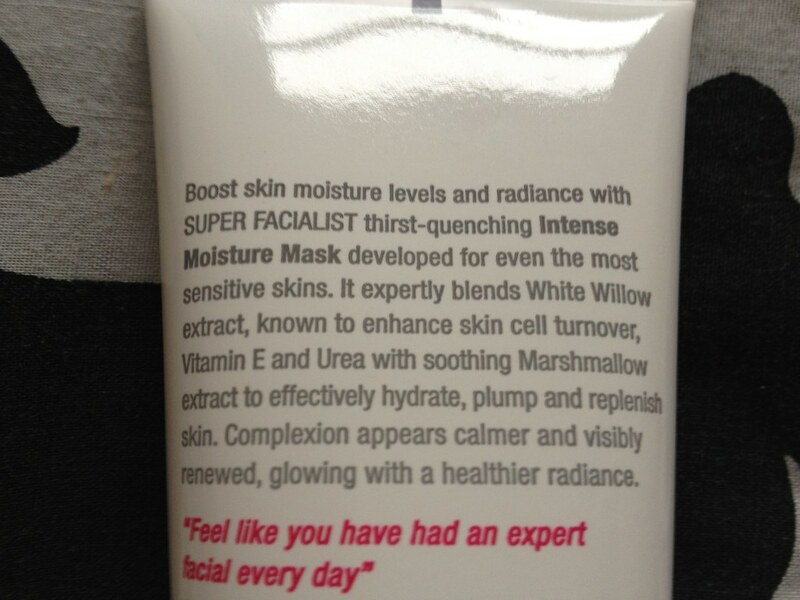 Super Facialist By Una Brennan Rose Hydrate Moisture Intensive Mask RRP: £8.99. Una Brennan also have their own website.